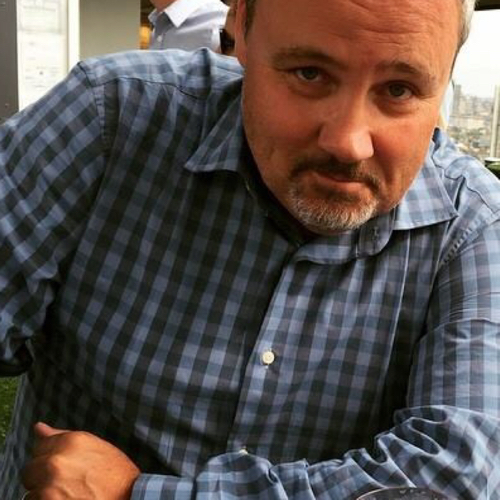 Interview with Stephen Hanselman for Stoic Week. I’m presently a literary agent representing a small but diverse client list of thought leaders and academics who seek to reach a broad readership – from historians and journalists to business and self-help experts, and beyond. I’ve spent my entire adult life in the publishing business, first for 12 years as a bookseller, followed by 13 years as a publisher at HarperCollins, and for the last 11 years as an agent working closely with writers to manage their careers. I’ve found the Stoic focus on education, practical disciplines, and character formation a constant source of inspiration and personal strength – for myself and for readers. Through the years of my work in publishing I’ve always been drawn to authors whose message takes a deep dive into these themes. For example: in business, Peter Drucker’s emphasis on effectiveness having to do with focusing on the right things; in Christian spirituality, Dallas Willard’s development of the disciplines of spiritual formation; and in more popular self-help, the use of these same disciplines by clients ranging from Jack Canfield and Tim Ferriss to Ryan Holiday. I was a double major in Philosophy and History as an undergraduate at Fresno Pacific University. One of the faculty who shaped an amazing core curriculum program there was Delbert Wiens, who did his dissertation at the University of Chicago on the Roman educator and Stoic philosopher, Gaius Musonius Rufus, a contemporary of both Seneca and Epictetus and a key influence on Epictetus. During those years I read primarily in secondary sources about the broader context of Hellenistic education (Werner Jaeger, et al), but it was only later that I got into the primary sources. During graduate school at Harvard Divinity School, while taking classes in the philosophy department, I happened upon Thomas Wentworth Higginson’s (another Harvard Divinity graduate) translation of Epictetus, which then led me to Oldfather’s Loeb volumes and I was hooked. Stoicism gets a bad rap in popular conceptions – it’s not about denying emotions and disengagement, but exactly the opposite! Stoicism is about engagement with the right focus, and emotions themselves are value-judgments that contain an assent of our reason. We have to begin by understanding what’s in our control and what isn’t. We must understand the thin line between impulse and action and seek to more clearly understand our perceptions, desires and aversions, beliefs and how we make judgments based on the true worth of things. There is tremendous leverage in Stoic disciplines for living more productively and with less suffering. Much of our suffering is self-dealt, and this is the biggest lesson Stoicism teaches. Our modern world is obsessed with Romantic notions of “following your passion” combined with a pervasive, consumerist materialism. Often there is little critical self-reflection brought to bear amidst all this excess and zero-sum seeking of gain. This combination is deadly to our souls, not to mention to our life in the common square. We’d all do better with some Stoic soul-care and the revival of their virtue ethics with its focus on the common good. Some days I wonder… the Stoics say that the sign of progress is the eradication of complaining and blaming. As a father of twin 11-year-old boys, doing that can be quite the challenge! And, as an agent, your job can often be complainer-in-chief. But, I do find it helpful to stay mindful of the actual worth of things and to keep the goals of self-control, fortitude, justice and wisdom in view. I love what’s happening on your Facebook group, and really everything that you and Massimo Pigliucci are doing. 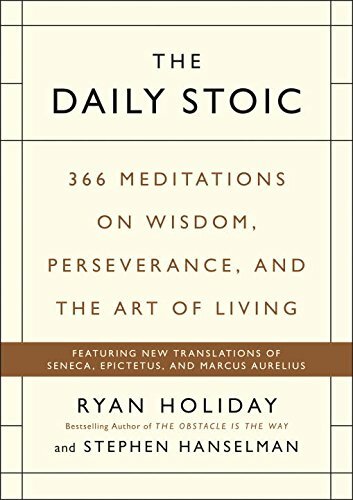 Ryan Holiday and I have also created a resource at www.dailystoic.com, and later this month our daily meditations book will appear from Penguin/Portfolio. We’re hoping to cast a very wide net with this book, which we’ve spent the past two years putting together. I wish to express my gratitude for your many years of work, and consistently great insights, in bringing Stoic resources to the world! Stephen’s new book, co-authored with Ryan Holiday, The Daily Stoic, will be available from October 2016. Next Next post: The Perfect Beginners Guide to Applied Stoicism?